Total Capacity: 20.1 cu. ft.
Freezer Capacity: 5.5 cu. ft. These fridges adapt to suit your lifestyle by streamlining food preparation and organzation with SmartTouch controls, flexible shelving and storage options and slide out bins and trays. 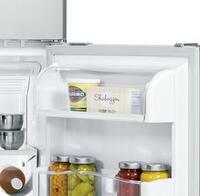 Available in multiple widths, these fridges are sized to suit families and kitchens, large and small. Designed to fit easily in your kitchen, they can sit flush with your counter top. Concealed hinges on many models add to a clean, refined appearance. Uninterrupted wide-open spaces and numerous shelving options enable easy customization for different uses. 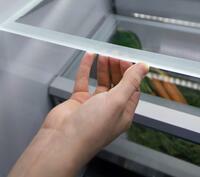 Quality extension runners allow you to slide out trays fully for easy loading and unloading in the fridge and freezer. 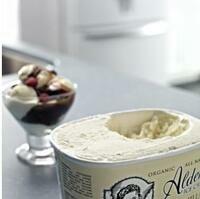 The storage bins are also removable, making food preparation and cleaning easier. 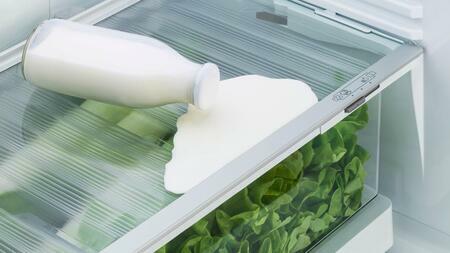 Removable, spill safe glass shelves are easy to clean and contain drips and spills. Storage bins just need a wipe to keep spotless. ActiveSmart fridges intelligently adapt to daily use to save energy, cooling, defrosting and using energy only when they need to, without compromising on food care. 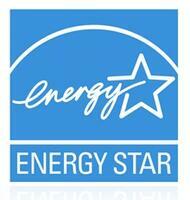 The high quality stainless steel and unique surround kits reflect the styling of our family of kitchen appliances. Your fruit and veggies need different environments. 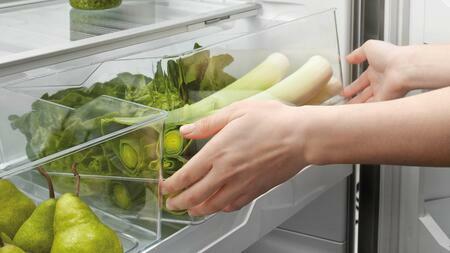 The humidity control slides in each storage bin create a microclimate that helps keep food fresher for longer. 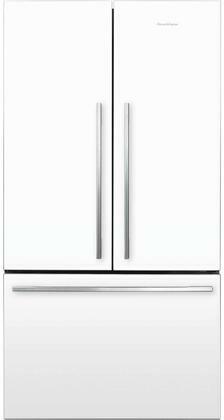 Depth with Door at 90 Degrees: 43.3125"
With a large family, this Fisher Paykel refrigerator has ample storage for all of us. I couldn't imagine a better fridge for our household. Living with a noisy refrigerator is a nightmare. We finally decided to dispose of our old fridge and upgrade to a beautiful French Door Fisher Paykel fridge. Above all else, it’s SO quiet. 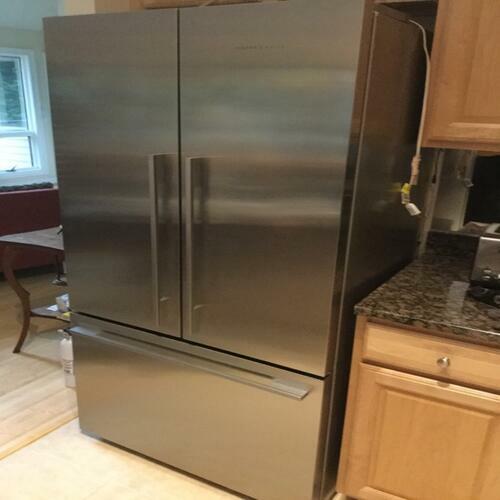 I’ve always been jealous of my parents’ French Door refrigerator so when it was time to get my own, I was pleased with selection of fridges that Fisher Paykel offers. Got a great deal, too. 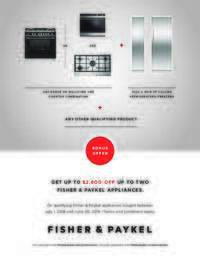 I am glad I did thorough research before purchasing this Fisher Paykel refrigerator. 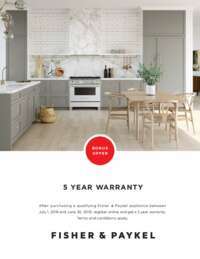 It has all of the features I was looking for and the Freestanding French Door design fits nearly seamlessly into my kitchen.